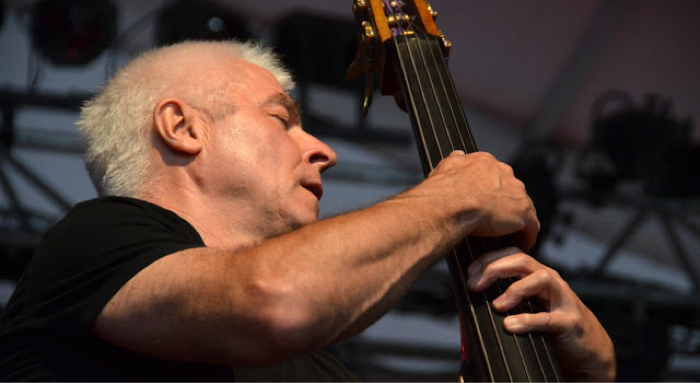 Barry Guy is an innovative double-bass player and composer whose creative diversity in the fields of jazz improvisation, solo recitals, and chamber and orchestral performance is the outcome both of an unusually varied training and a zest for experimentation. Guy underpins this zest with a dedication to the double bass and the ideal of musical communication. 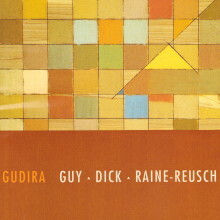 Guy is founder and Artistic Director of the London Jazz Composers Orchestra, for which he has written several extended works with many recordings. His concert works have been widely performed and his skilful and inventive writing has resulted in an exceptional series of compositions. Composing commissions at present are for Maya Homburger, “Ensemble Son” and the Swiss Intakt label. Guy has recorded over 80 albums with various jazz formations. Latest recordings include a solo disc entitled Symmetries and a trio disc with Marilyn Crispell and Paul Lytton called Odyssey. ECM recently released a CD with Barry Guy’s compositions “Ceremony” (violin and tape) and “Celebration” (solo violin) amongst others.